This season, Albane Carrère will sing Cunégonde’s part in Offenbach’s Le Roi Carotte at the Lille opera-house, Alisa’s part in Lucia di Lammermoor at the Bordeaux opera-house and Clotilde’s part at the Rouen opera-house as well as at the Mascatte opera-house. She will sing again Donna’s title rôle in Peter Eötvos’s Senza sangue and under his direction in London. 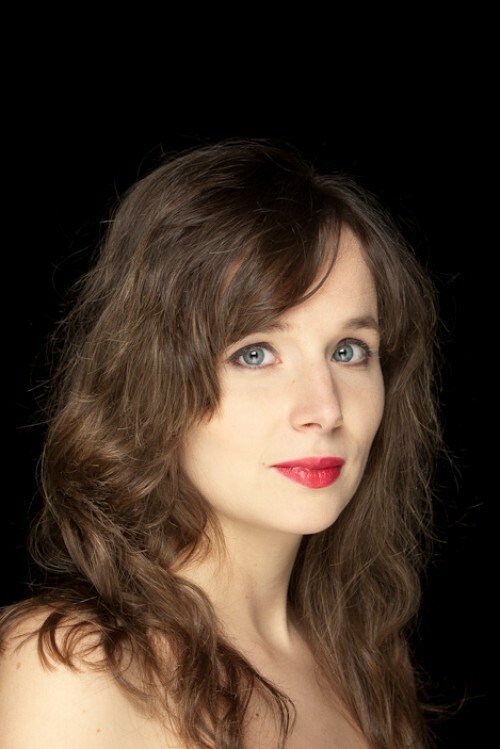 She will be Marguerite in La damnation de Faust with Miroirs étendus, and she will have a Schubert’s record brought out with original arrangements by Jean-luc Fafchamps, with the Alfama quartet. She will also be heard in various concerts, including some which will be recorded during a round with the “Contraste” ensemble in Pergolese’s Stabat Mater. In 2016-2017, Albane Carrère sings Garcias in Massenet’s Don Quichotte at the Bordeaux National Theater under Marc Minkowski’s direction and the role of Clotilde in Norma (Bellini) at the Saint-Etienne Opera Theater. Then, she sings the Gypsy girl in The Diary of one who Disappeared (Janacek) in Paris and the Fairy Queen with the Contraste Ensemble on tour. She is recording a Mozart CD with the Les Flamands Noirs. She sings various concerts in China (Shenzhen and Shanghai) and sings with the Aix-en-Provence Festival Academy a Stravinsky. In 2015-2016, she sings The Fairy Queen (Purcell) at the Metz Opera House, the Fox in The Little Cunning Vixen (Janacek) at the Bastille Opera House, Mercedes’ part in Carmen at the Grand Avignon Opera House, The Gypsie Girl in The Diary of One Who Disappeared (Janacek) on tour in France, and the title role of Donna in Peter Eötvös’s world premiere scenic version of Senza Sangue, in the Gothenburg Concert Hall (Sweden), at the Avignon Grand Opera House and at the Armel Festival Opera House in Budapest. She also gives various concerts in France, Belgium and China. In 2014-2015, Albane Carrère is Zerlina for the new open air opera tour staging by Patrick Poivre d’Arvor, then Lucienne (Die Tote Stadt, Korngold) at the Nantes Opera House and at The Nancy Opera house. In June, she will sing in the “Musiques en Fête” live broadcast from the Théâtre Antique within the framework of the “Chorégies d’Orange”. In 2013-2014, she plays the role of Adine in Benoît Mernier’s world-wide creation La Dispute, at the “Théâtre Royal de la Monnaie”, the second lady (Die Zaubeflöte-Mozart) at the Toulon opera house and has sung as soloist at the “Théâtre Antique”, in the “Chorégies d’Orange” Festival with the Avignon lyric orchestra. She is then Zerlina in Don Giovanni at the Tours and Reims Opera houses, and Mercedes in Carmen. In concerts, she sings in Paris, at the “Petit Palais” and at the “Cité de la musique” with the Opera Fuoco Ensemble, at the Toulon Opera house, at Bordeaux with CroisiEurope and in Saint-Pétersburg and Sweden with the Contraste Ensemble. As a solo mezzo-soprano at the Rouen opera house (2010-2012), she sang in the rôles of the “second lady” (Die Zauberflöte - Mozart), Karolka (Jenufa - Janacek), Mrs Grose (The Turn of the Screw - B.Britten), and she concluded the season with Flora’s part (La Traviata -Verdi) at the Versailles Opera house. In 2010-2011, she sang in the title rôle of Massenet’s opera Thérèse at the “Opéra Royal de Wallonie”. In 2008, she is Mallika in Delibes’ Lakmé, at the Gand opera house, and she plays Maria’s part in the musical The Sound of Music at the “Palais des Beaux-Arts” and at the Liège “Forum”. She is several times invited in Switzerland within the framework of the “Progetto Martha Argerich”, where she plays Samantha’s part in Alexis Weissenberg’s “La Fugue”; on that occasion, she is accompanied by Martha Argerich and Eduardo Hubert, among others (EMI/Virgin Classics live recording), and she also takes part in a concert dedicated to the American musical. Since 2005, Albane Carrère has been several times invited as a young hope in opera singing at “Solistes au Domaine”, with guest star opera singers like Barbara Hendricks, José Van Dam and Yvan Rebroff, at the “Brussels Summer Festival”, the” Nuits Musicales de Beloeil”, the “Festival de l’Eté Mosan”, the “Midi-Minimes”, the Stavelot Festival and the Brussels “Bozar”. The french mezzo-soprano Albane Carrère was born in Vienna (Austria). After graduating in sociology at the ULB (Free Brussels University), she joined the Brussels “Conservatoire Royal de Musique” and the “Koninklijk Conservatorium”, where she ended up her curriculum with a “High Distinction” diploma. She improved her singing in Master Classes with Nadine Denize, Teresa Berganza and Ann Murray, at the European Opera Center and at the “Académie Européenne de Musique” of the Aix-en-Provence Festival. Albane Carrère is a finalist in the annual audition of the Centre Français de Promotion Lyrique (2011).